They’re all available as of this morning, and you can go straight to the listings by clicking this link HERE. 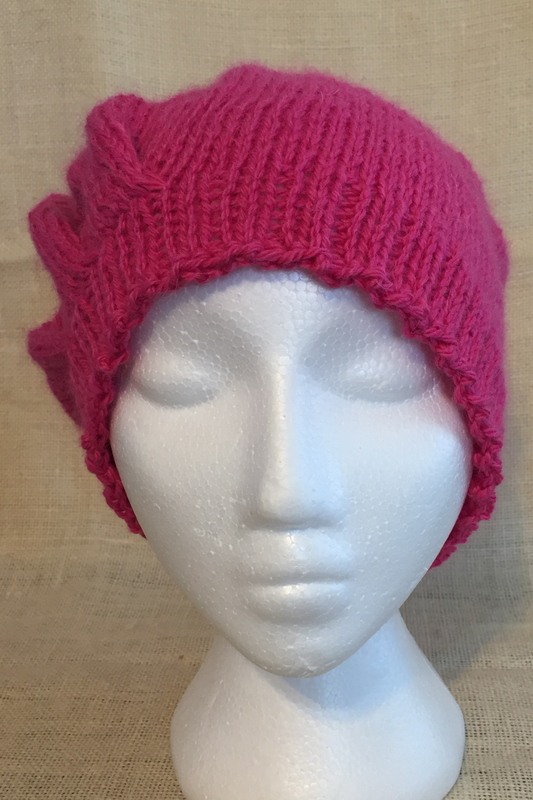 I offer free first class shipping within the U.S.
After a day with no knitting on Saturday, I had a day with all the knitting yesterday, and I finished TWO projects! 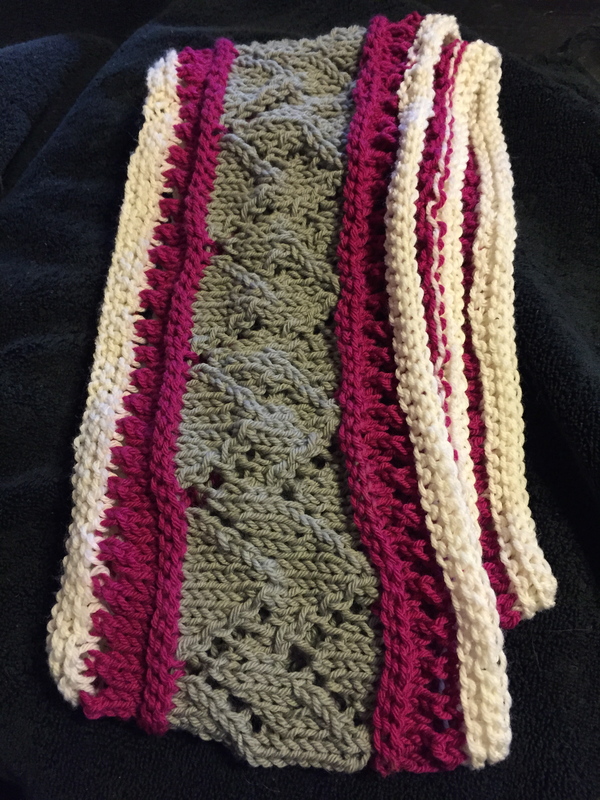 Without further ado, I present to you the Hogan Infinity Scarf: I know, it looks like poo in this photo, but that’s the wonder of blocking! This morning it got a little bath in Eucalan and now it’s laid out to dry. I’m so glad this silly thing is done. 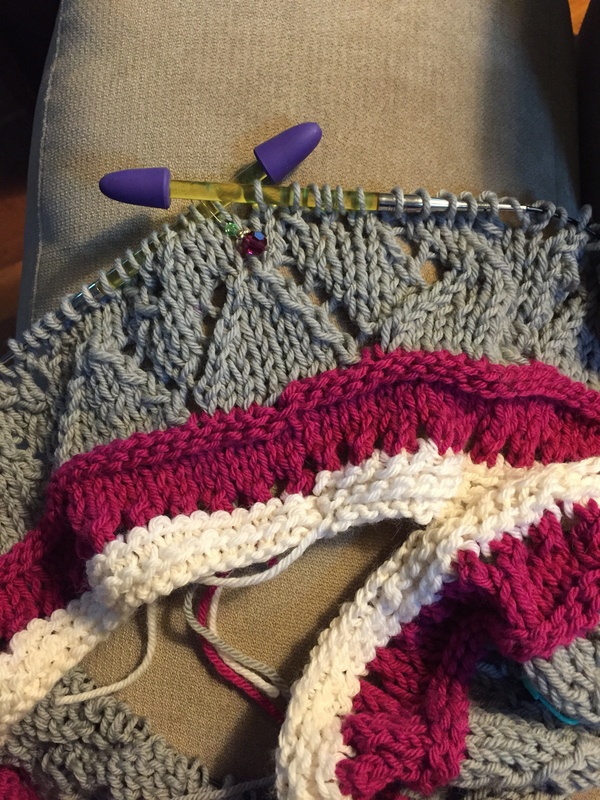 After all the fuss trying to figure out yarn amounts and what colors to use, and then I had a mistake in the chevron pattern that I couldn’t find…ugh! The upside is that this was my first experience with Rowan yarn, and it was lovely. It feels strong yet still touchable, not splitty, and I think it’ll have good stitch definition. And I really do like these colors together. I’m glad I went ahead and used the white on the edges. My Ravelry notes are here, and I’ll post another photo when it’s done drying. 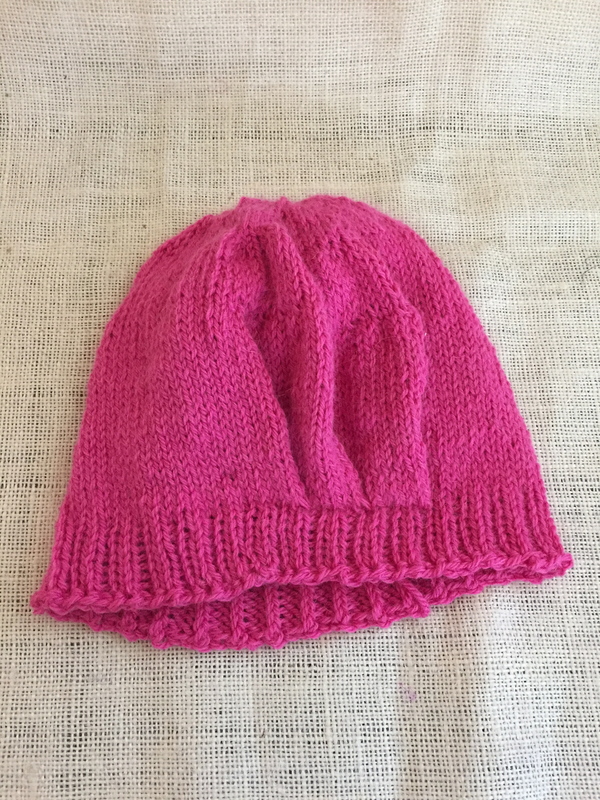 I finished the cowl during Harry Potter #5, and while we watched #6 I needed another project, so I finished up another long-tail baby hat. These are fun. Now I *could* start a new project, but I’ve been in the mood to clear through some of my WIPs, so I think I’ll pick up something I’ve been ignoring. But first I want to line my felted bag. Here’s the fabric I have. It’s not quite an exact match but I think it’s close enough. What do you think? Thank goodness, my mojo was not gone very long. Yesterday afternoon I went up to my craft room and gazed at my stash and pulled out a handful of skeins that called my name, and wound them without any expectations of what I should knit with them. I just appreciated the colors and the feels. I mean, how can you play with this and not want to knit it?? 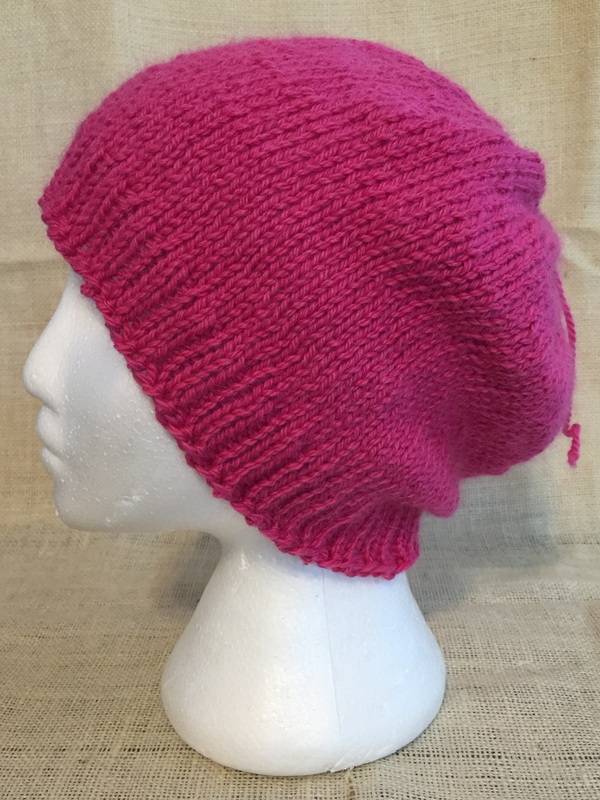 It’s hot pink Simpliworsted and I know it’s going to be a hat, maybe for me, but I feel a little of that crippling fear you get when you love a yarn so much that you want it to be exactly the right pattern. I keep telling myself I have two skeins of it, so it can be two hats and I can keep whichever one I like best. While I pondered that, though, I decided I needed a fast felting project. 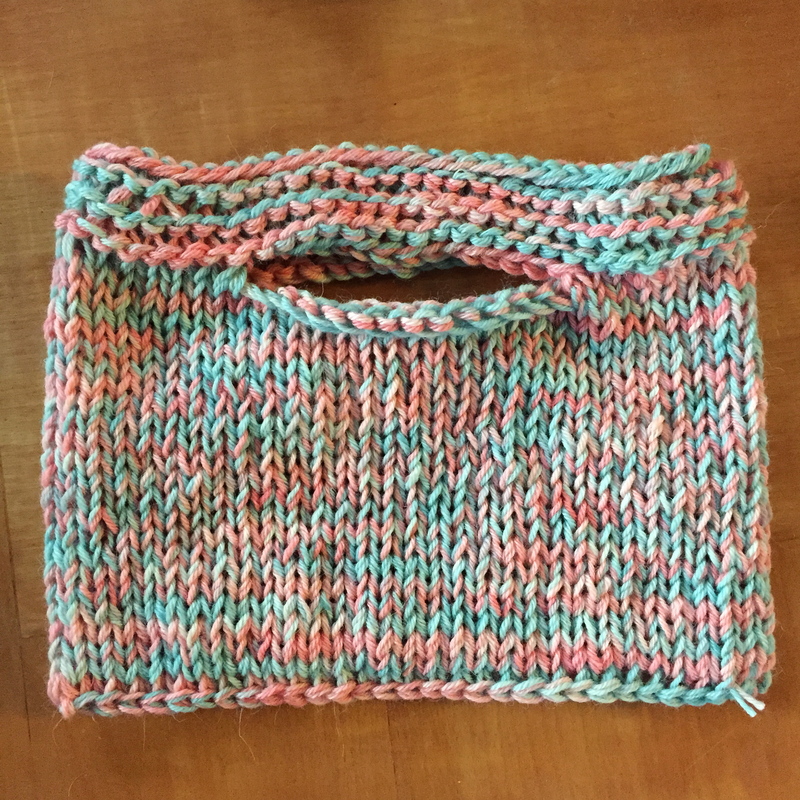 I’d pulled out some wool in peach and mint green that wanted to be a felted bag, so I spent a while on Ravelry before deciding on this clutch pattern. 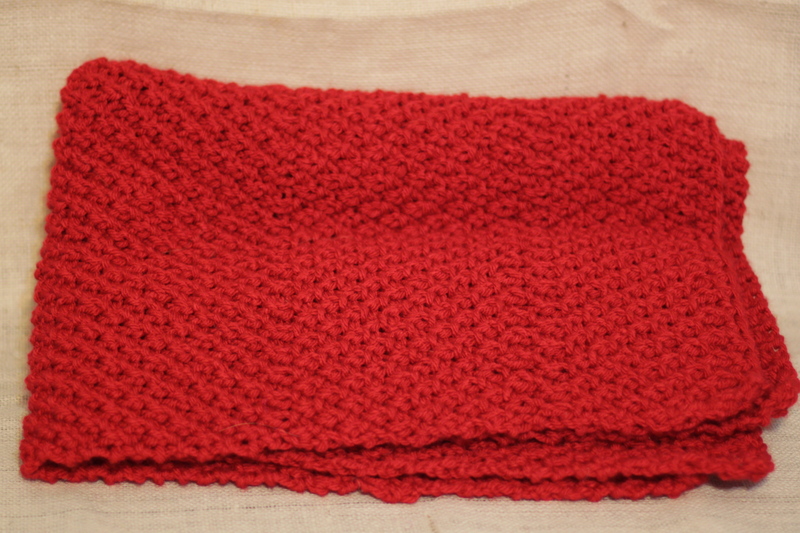 The knitting part was super fast; I got almost all of it knit last night, with maybe an inch left to do this morning. I did a three-needle bind off instead of learning Kitchener. I didn’t think trying that for the first time was the right way to coax my knitting mojo into staying! Now the bag is ready to felt and as soon as I get my errands done, I’ll be working on that. Can’t wait to see how it turns out. 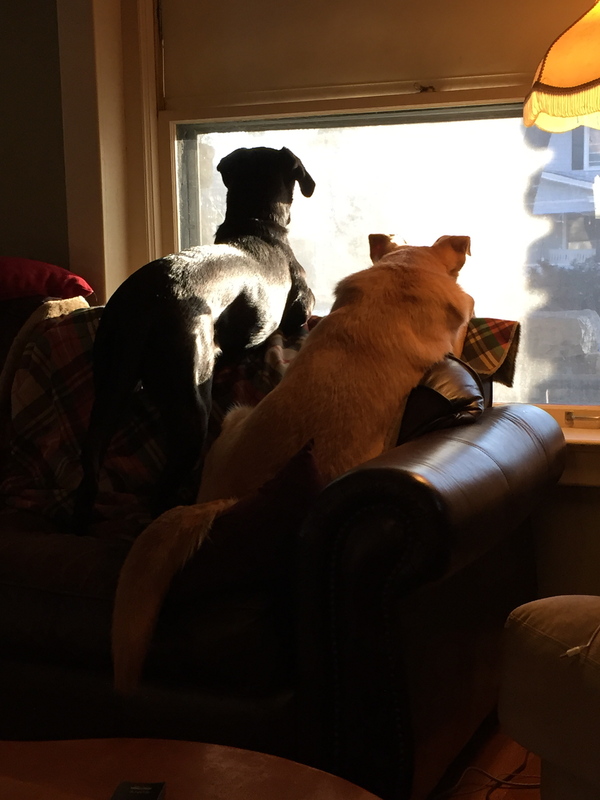 The other excitement of the morning was thanks to these two monsters. They look sweet and calm, don’t they? Well, they greeted me when I got up this morning and they were all excited and happy and bouncy, and then they decided they should start roughhousing on the stairs while I was trying to go down. Two puppies crashing into me means I fell down and slammed my lower back into the hardwood stairs. Yeah. It’s awesome. I’ll be doing some training with them on stair etiquette very soon. Now, if you’ll excuse me, I’m off to find an ice pack! I got to add two more FOs to the Christmas gift pile over the weekend. The first, and most satisfying, is a blanket. 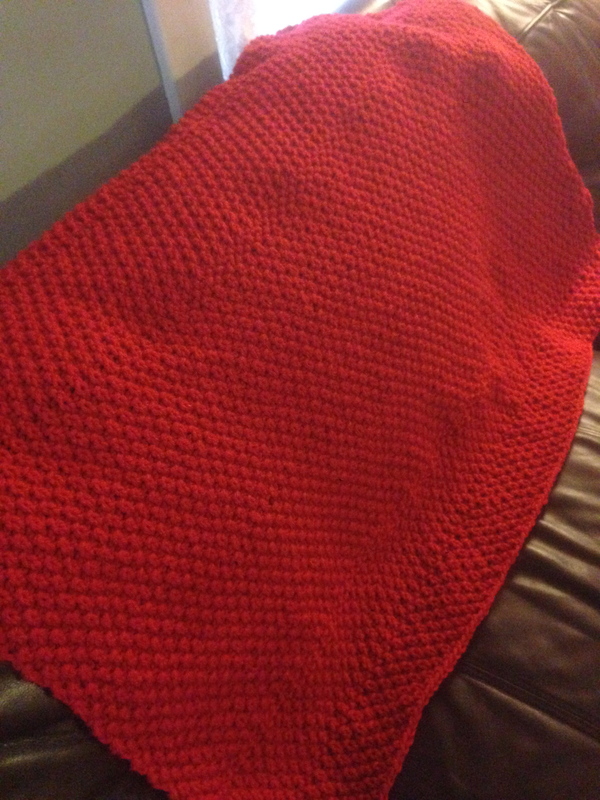 It’s throw-sized, about 31″ by 41″, so not huge, but still, knitted blankets take a long time. It’s a much bigger commitment than, say, a hat. I spent most of Saturday at a band competition with my daughter and this was the project I took with me, hoping I could get it finished. I got a long way, and finished it Sunday morning. This is the Double Seed Stitch Blanket by Purl Soho. It’s simple, classic and lovely. 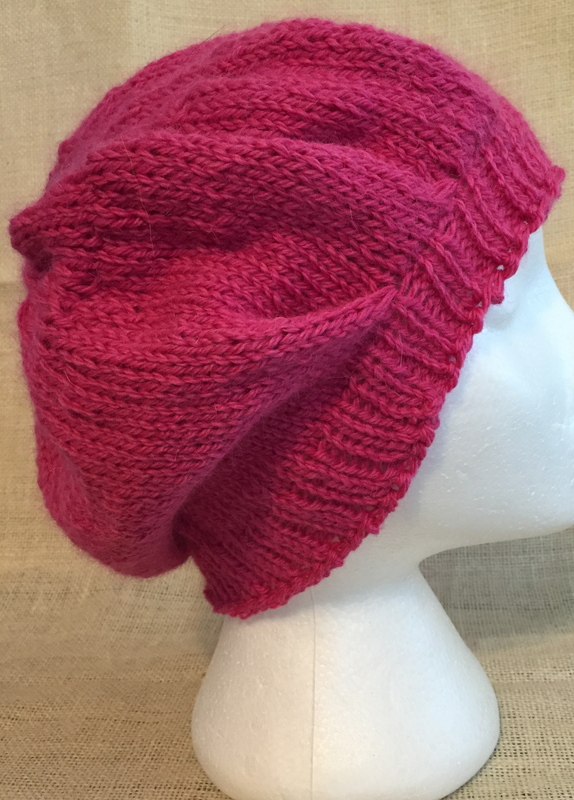 I used 5 skeins of Knit Picks Brava Bulky in red. I wanted it to be soft and warm but also washable. I used a smaller needle than the pattern specified, 11 rather than 13, to get a denser fabric. I found it quite cozy on my lap as I worked on it, so I’m really hoping the recipient will be pleased with it. The other gifty object is the red tote. 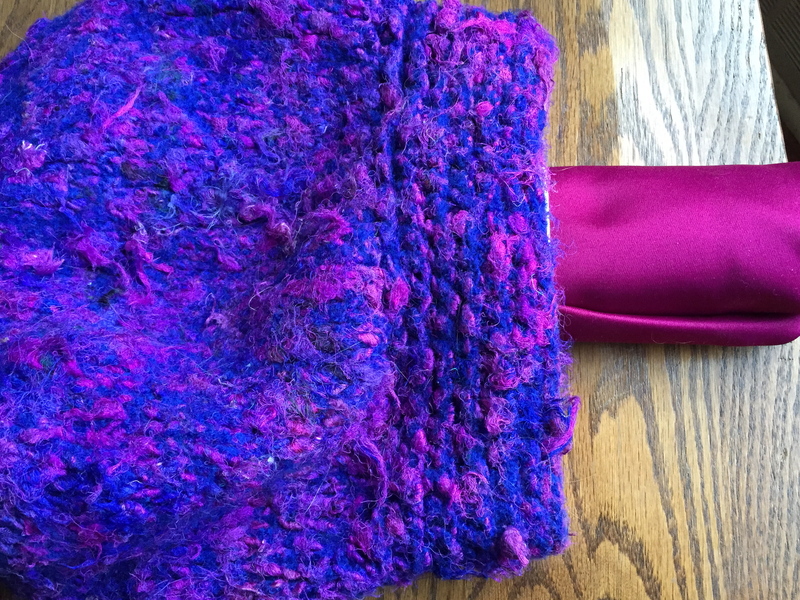 You may remember I blogged about it before, discussing my felting struggles. I tried one last time and finally I have called it finished. 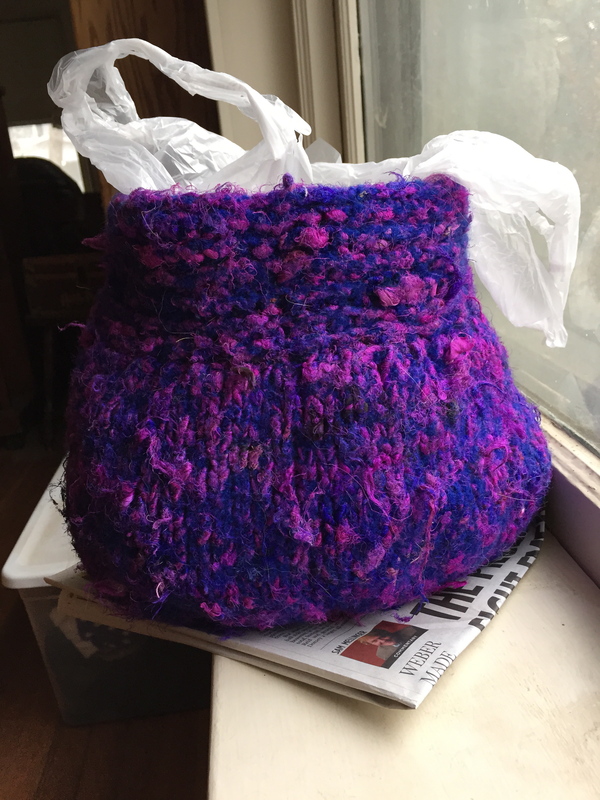 This is the bag after three machine cycles and two hand-feltings. I like it. There’s more stitch definition than I would prefer, but it’s definitely a sturdy fabric. It’s a good size for a book, notebook and cell phone. 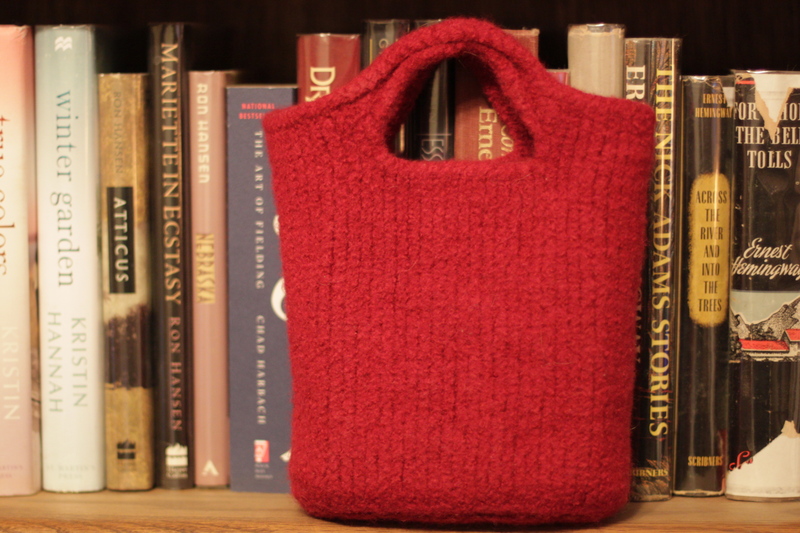 For those who missed it before, this is the Lucky 7 Felted Tote made with Cascade 128 Wool. I’d like to try this pattern again with a different wool. With two gifts finished, I thought I deserved to start a selfish project. 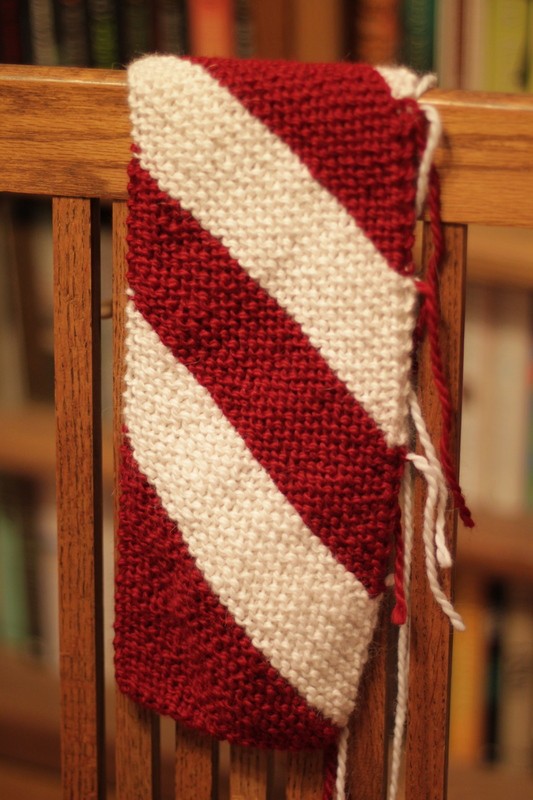 Did anyone else see the new Candy Cane Scarf pattern? I can’t remember if I saw it on Ravelry or Facebook but I fell in love with it immediately. 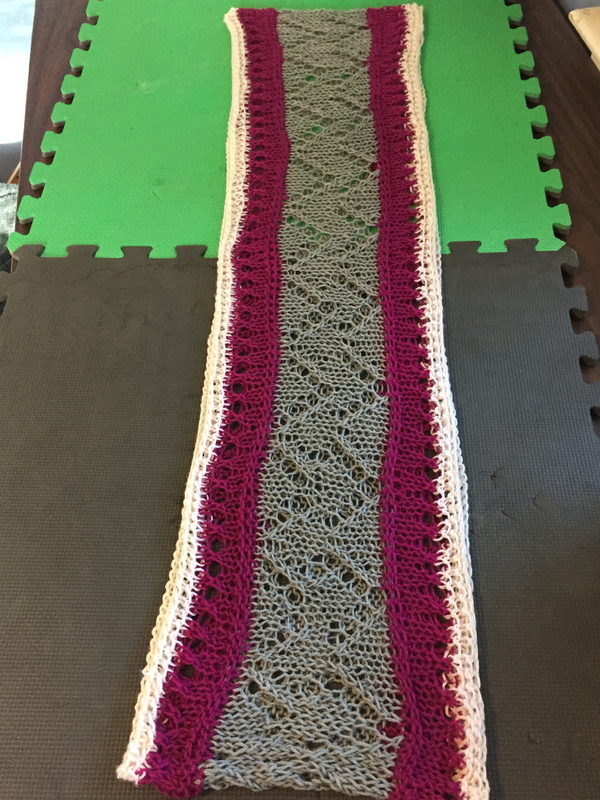 I don’t make many scarves anymore because they take so long, but I’m making this one! And I’m making it special too: I’m using my Cascade Yarns Baby Alpaca Chunky. Mmmm, it’s gonna be soft and warm and delightful! Since the yarn is bulky, not DK like the pattern uses, I’m using size 8 needles, and I only increased to 32 stitches before switching colors. I’m so happy with it, and it’s going faster than I expected (thank you, garter stitch). This is totally going to be worth all that end-weaving. I hate to brag, but my Christmas shopping is DONE. Christmas knitting is down to one fingerless glove. (I really should start that soon.) I have none of the panic from last year, and I’m liking it. It’s a combination of starting earlier in the year and stressing less about handmade gifts. Not everyone is getting one, and that’s okay. Not everyone is getting something big and complicated, and that’s okay too. Now I can sit back and coast along, and not freak out every time the kids cross off another day on their Christmas countdown. I wish the same calm for all you other crafters! Behold, ’tis a great and wondrous thing! 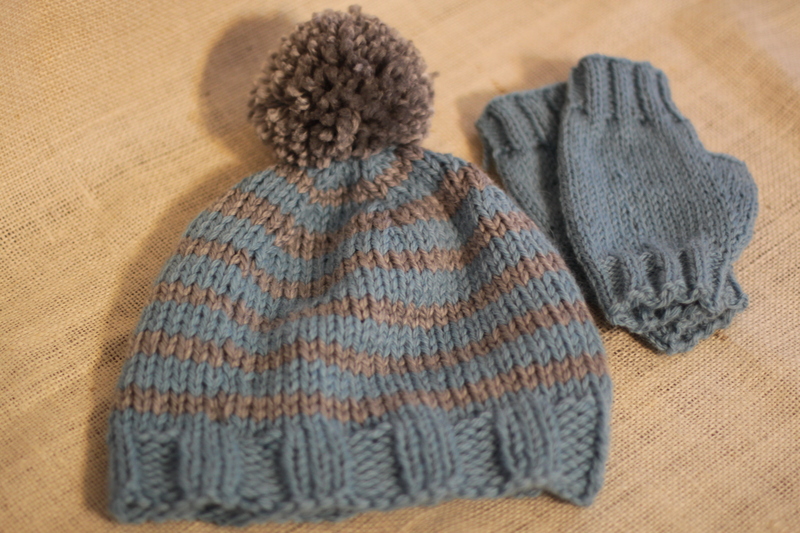 I have made fingerless gloves that not only match a hat, but MATCH EACH OTHER! 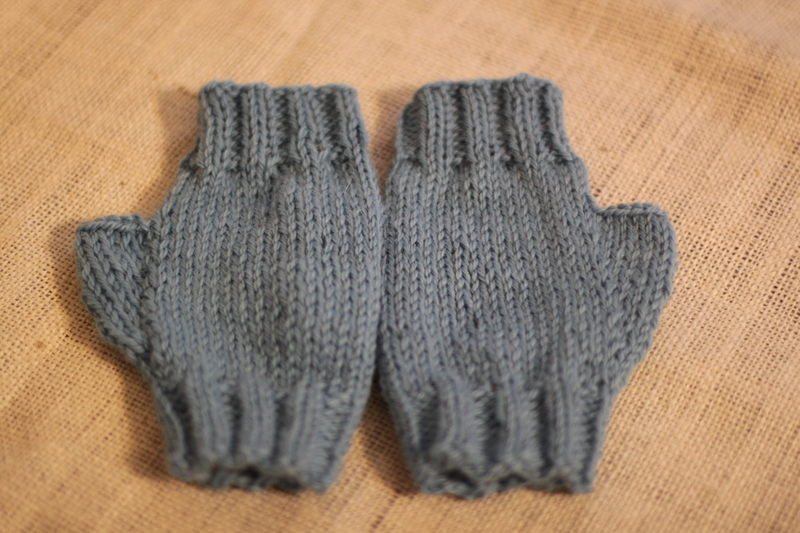 This is the first time I have been able to knit two mitts exactly the same size! I always count my rows wrong somehow, so that one mitt is longer than the other. Not this time! Bwahaha! Even better, I think they’ll actually fit the recipient well, and it was a great way to use up the last of the Mirasol Yarns Tuhu. 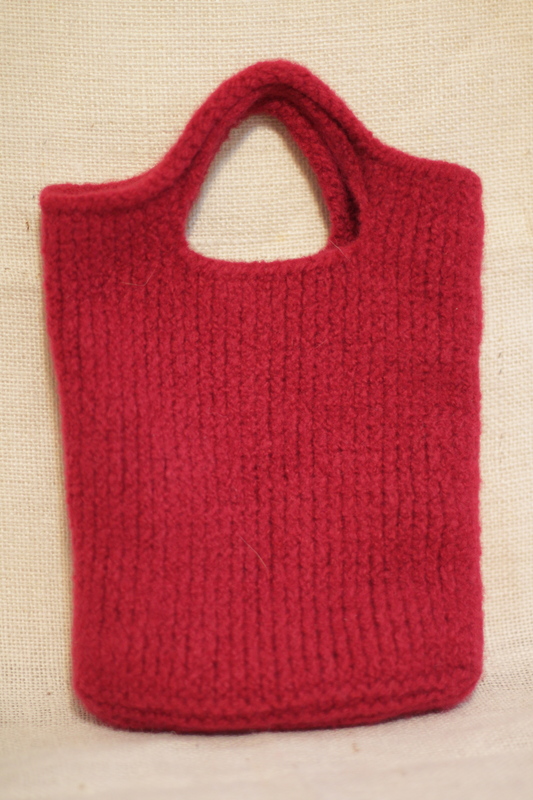 I also felted the red tote. Not quite as happy with it. 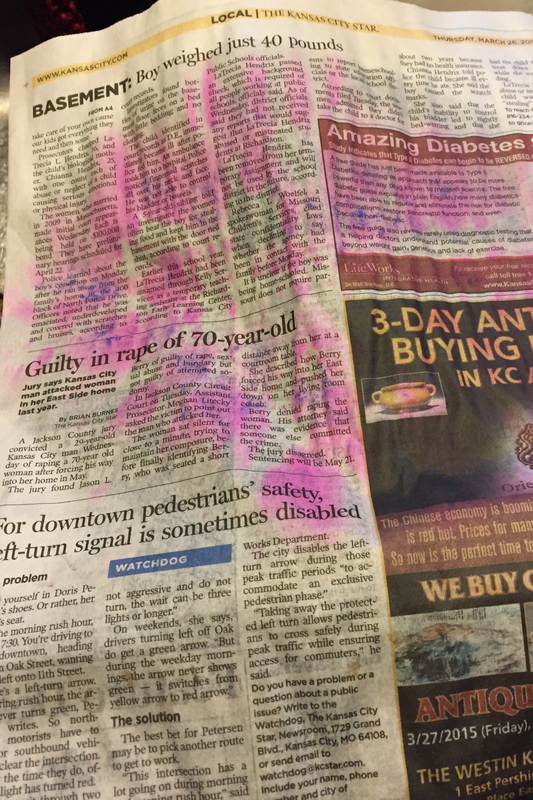 This is after two cycles in the washer and a heavy beating by hand. I mean, I went to TOWN on this baby, and it just won’t felt all the way. So I’m going to try one more time in the washer and this time throw in a few dog toys for extra agitation. 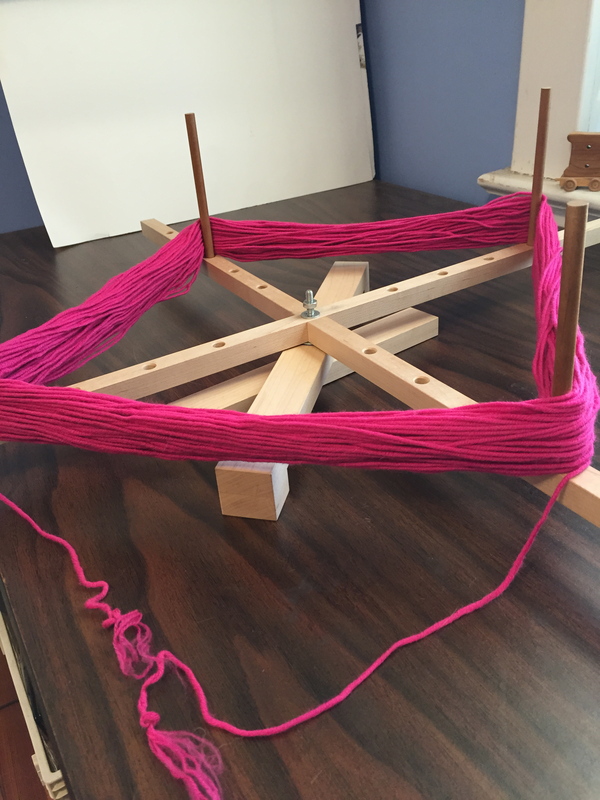 If anyone has any tried-and-true felting tips, please share them! 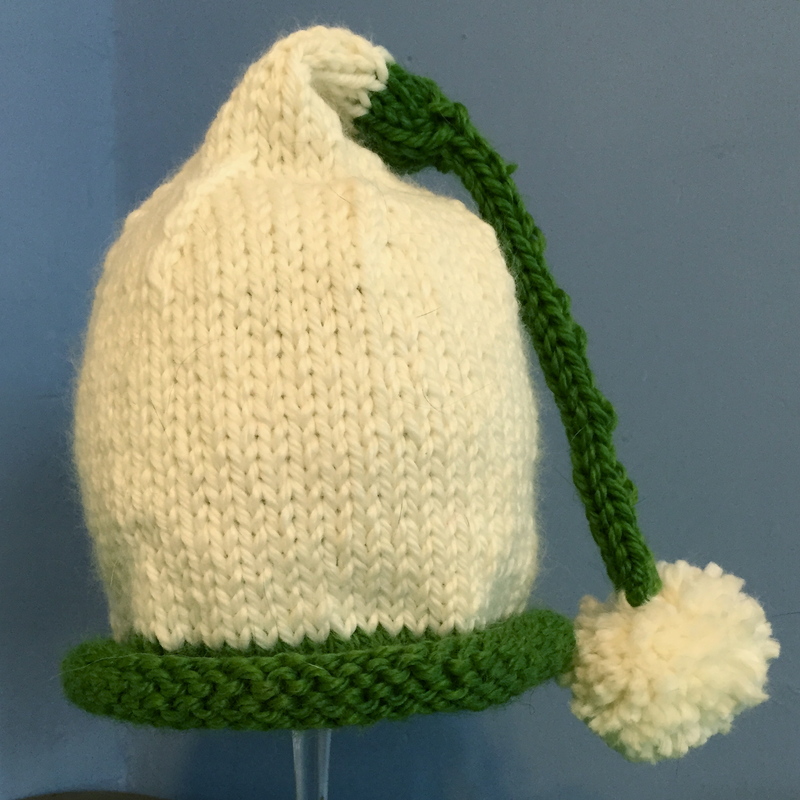 I’m getting so close to being done with holiday knitting, too! Only half a lap blanket, one hat, one fingerless glove and one toddler-size set of mittens left. Crazy, huh? I’m sure I’ll decide at the last minute to make more. Happy Thanksgiving to my American readers! May the company be happy and the food plentiful.